Weber's Nursery and Florist began in 1958 as a family business founded by Robert Weber. It has evolved from a small landscaping and paving business into a larger and more versatile operation. Robert's children now run the business that expanded in 1980 to include a florist and larger garden center. 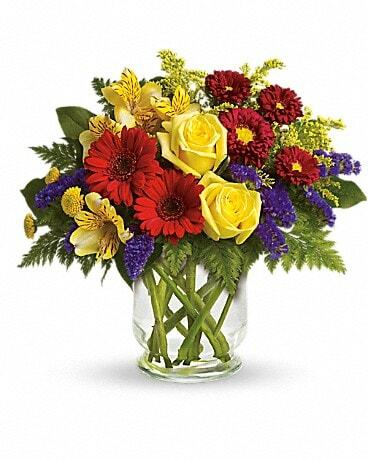 Weber's Nursery and Florist specializes in fresh flowers for all occasions including balloons, fruit baskets, and flowering house and outdoor plants. Gift Certificates are available. The florist and garden center are open Monday through Saturday, however special arrangements are made for Sunday delivery or Funeral Flowers. During the month of December, and around holidays, the florist expands its hours to include Sundays. If you have any questions or need more information, please contact us directly at (800)701-8475. We're always here to serve you and make your flower-sending experience a pleasure. These particular designs may require up to four days notice (especially when going into a weekend, flowers coming in on Monday can't be delivered until Tuesday). 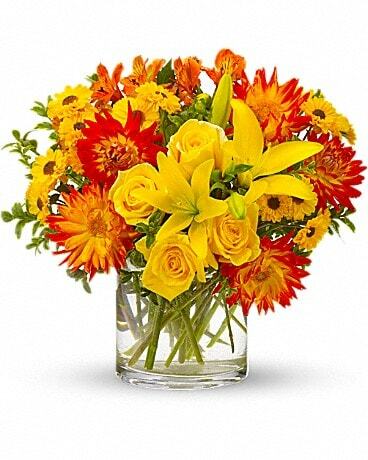 No internet orders, but directly for tropical flowers. We are unable to make deliveries on Sundays, except when requested on Saturday by noon. Deliveries requested on this day will be delivered the following business day.